This week has been busy with Tech Ready in town! Tech Ready is Microsoft's technical conference for the field. We host it twice a year. It's a great event because it provides an excellent forum for connecting with different people WW. In any case, I thought I'd describe another sample I demonstrated in one of my sessions. I showed folks how easy it is to use SharePoint Designer to create some very rich, custom experiences. 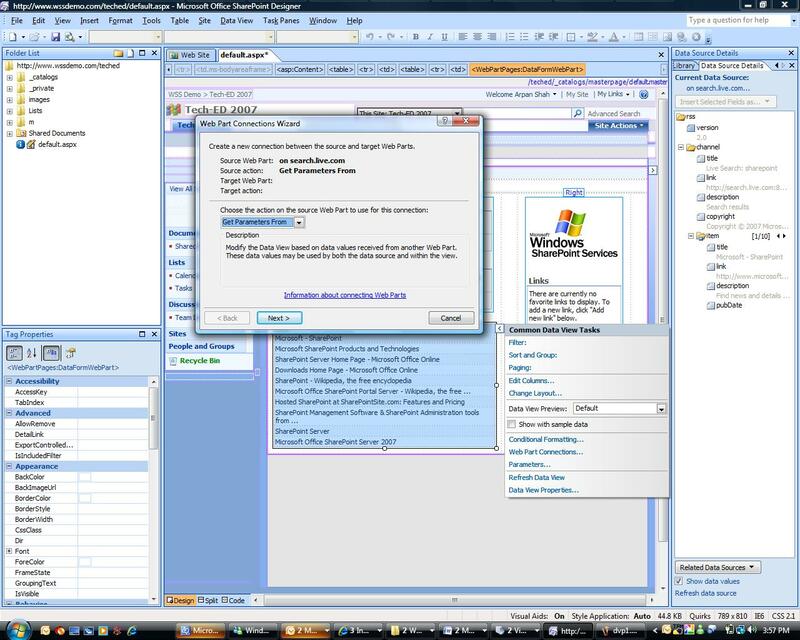 The scenario I showed was how you could use the Data View Web Part to connect to different search services – the SharePoint Search Web Service, Live.com search or any other search service that returns results via RSS or XML. 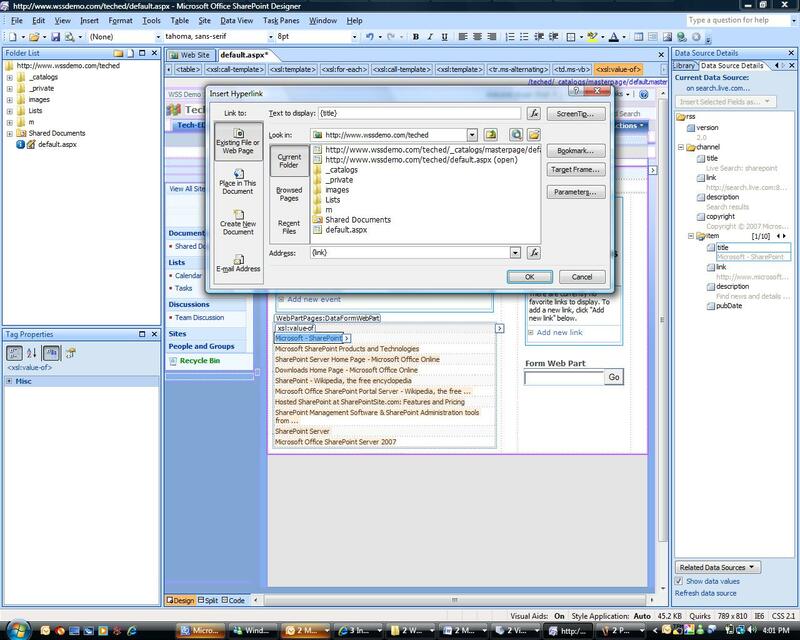 The Data View Part is a no-code solution that allows you to very quickly connect to different data sources and display the search results and visually create the XSL you want. 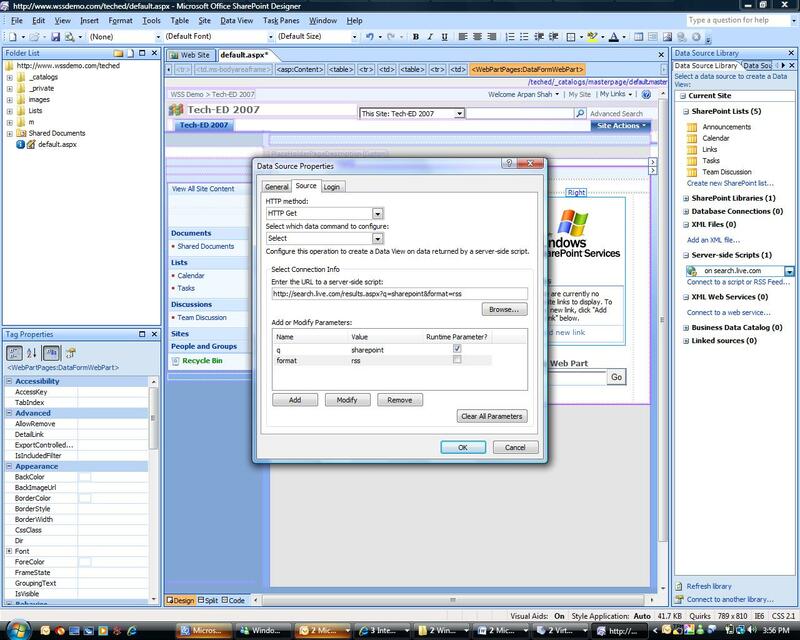 In fact, I know designers that use SPD to specifically help them create XSL. 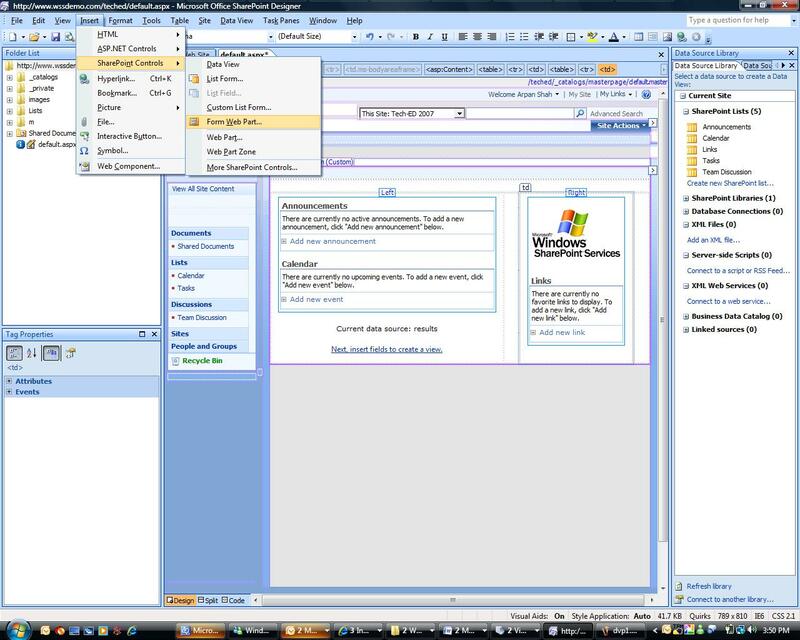 For this sample, all you need is Windows SharePoint Services and SharePoint Designer. Here are the two things I recommend every SharePoint developer, IT Professional and Power User try out: Showing results from Live.com and Showing results from SharePoint search. The end result of using a couple web parts in SPD is a simple form where someone can enter keywords and have formatted results returned. 1. Open up your site in SharePoint Designer. 8. 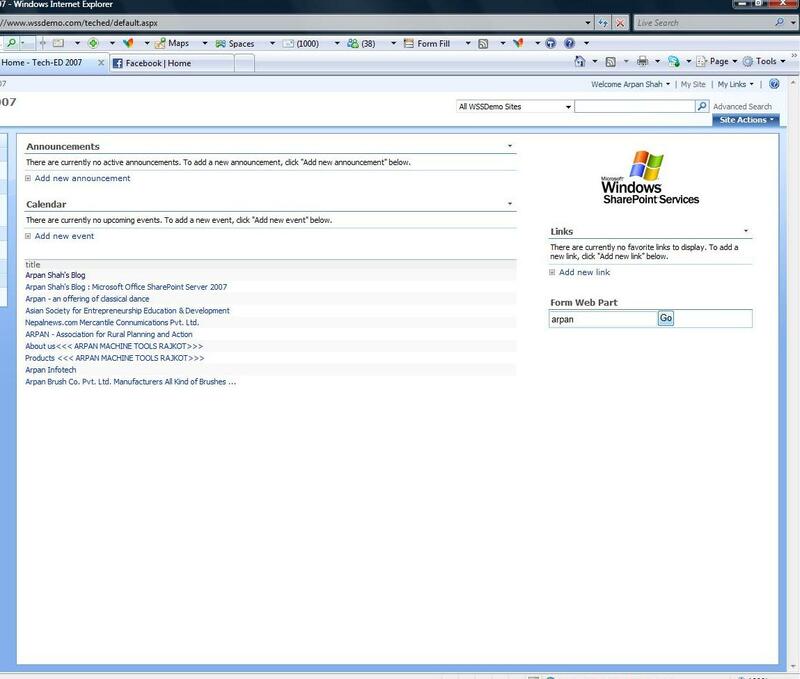 At the top right of the web part, there is a little arrow where you can configure properties of the web part. Choose Web Part Connections. You want to take the value from the Form Web Part and connect it to the "q" variable that will be sent to search.live.com. 9. From the actions drop down, choose "Get Parameters From" and click Next. 11. Match the T1 (or the variable you specified) to the q variable. 12. Now you're done! You've just implemented search on your WSS site! As you'll notice when you set the parameter, this can also be set through a web part connection. And now you are set! You can style the results visually and connect it to a Form Web Part to make it dynamic!